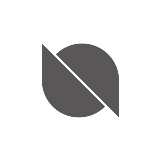 The Ontology TestNet will update to version 1.6.1 Alpha from 08:00 to 10:00 on April 19th, 2019 (UTC). Please note that during the update, TestNet services will be temporarily unavailable. 1,300,000 ATLS up for grabs for ONT holders!